Under Construction. Caring for aging parents or have a young adult child still at home? This one story Next Gen home has 4 bedrooms / 3 baths and a two car garage. There is a separate entrance for a Next Gen Bedroom living room and kitchenette giving the sense of privacy and independence within proximity. We have a limited release of NEW homes that sit on well-maintained sites perfect for relaxing with friends and loved ones. With âEverythingâs Includedâ luxury and value go hand in hand. New highly energy efficient homes feature 42â wood cabinetry quartz countertops in both kitchen and bathrooms slate appliances state of the art security system and expansive covered lanais to enjoy your gorgeous views and much more! 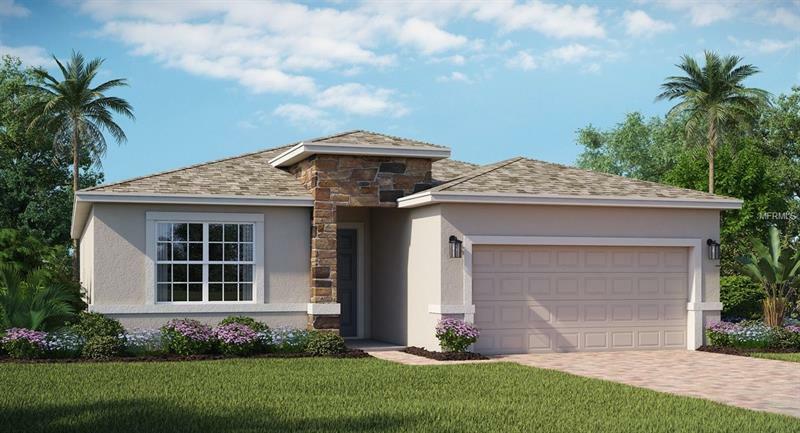 This brand new home is in the beautiful 24hr manned gated golf club community of Providence offering their residents luxury resort-like amenities. The community was designed with active families in mind. Amenities include a fully-equipped fitness center tennis courts a resort-style swimming pool lap pool walking trails tot lot dog park restaurant Pro Shop and much more! The Michael Dasher designed 18-hole course covers 7046 yards and features championship tees and immaculately maintained greens. The in-house restaurant offers breakfast lunch & dinner options with amazing views of the golf course. Minutes from mayor highways and theme parks. Providence was voted the #1 Grand Award Community of the Year for 2010 - 2017!